When I think of the coming spring and summer months, there's really only one flower that really comes to mind. The sunflower, of course! As I started to get my mind around what wonderful spring and summer fashion designs I could come up with for our readers, I just couldn't stop thinking about these flowers. 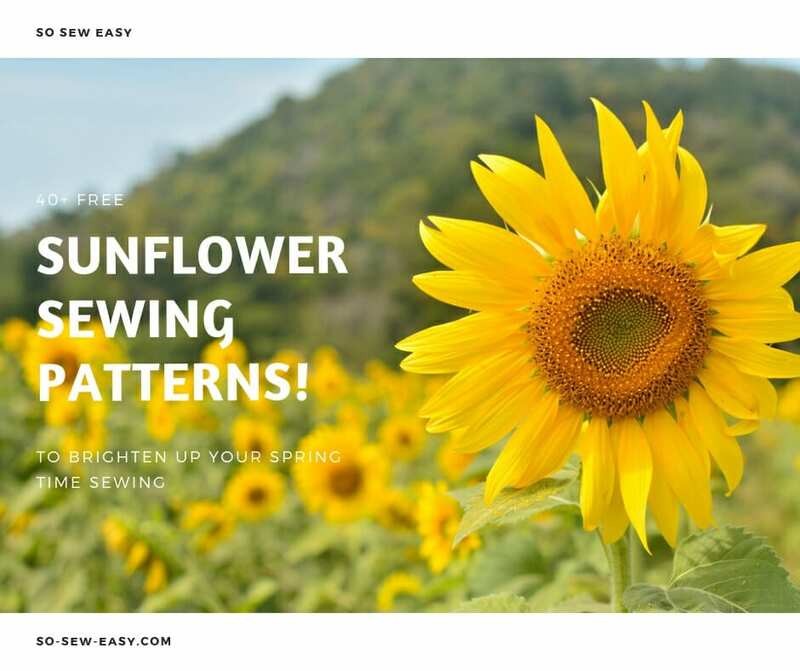 So I decided to see how many different free sewing patterns that I could collect that were designed for or work well with sunflowers. In truth, I found many more than I thought I would. So as I usually do, I wanted to share this new collection of free sewing patterns with you. You might want to check this Springtime Sewing Projects, too.